My post on Monday musing on the recent highbrow critiques of Mormonism by Chris Lehmann in Harper's magazine and Harold Bloom in the New York Times provoked some thoughtful responses from Mormon readers who questioned whether Mitt Romney's religion was any grounds for discussion. Buried deep inside today's Times was another small reminder why many people believe it is fair topic for conversation: because Mitt Romney is not any old Mormon. He was, as a recent profile described, not only the "bishop" of his local congregation in Belmont, Mass. but later the "president" of the entire Boston stake, or diocese. Indeed, it is not going too far to speculate that Romney's considerable leadership abilities are rooted in part in his experience in the church, starting with the take-charge role he played as a missionary in France in the late '60s. Then comes today's item in the Times, on the tax returns filed on behalf of the Romney family foundation. It reported that Ann Romney, Mitt's wife, had contributed an additional $1.5 million to the foundation, bringing it up to $10 million in total assets. It reported that the foundation disbursed $647,000 last year, for a total of $7.1 million in donations since 1999. 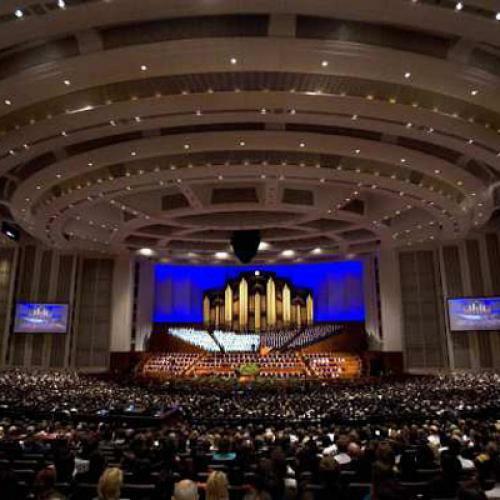 And it reported that since its founding in the 1990s, the foundation has given $4.8 million to the Mormon Church -- $145,000 last year alone -- and at least $525,000 to Brigham Young University, Romney's alma mater. This is in addition to whatever the Romneys have given to the church personally, which is unknown because they have not released their own tax returns. The generosity has been well reciprocated, of course -- Romney's 2008 and 2012 campaigns, and the "leadership PACs" that he used to raise millions of dollars leading up to each campaign, have received six-figure donations from prominent Mormons such as the Marriott family, as well as countless checks from more rank-and-file Mormon supporters. In just the first three months of his 2008 campaign, Romney received $2.7 million from Utah residents, which the Salt Lake Tribune noted was an "unprecedented amount from a state not known for donating to national campaigns." His support from Utah dropped off somewhat this year, likely because he was competing for the state's support with its former governor, Jon Huntsman. But Huntsman is, by his own admission, a less committed Mormon than Romney. And given this new tax return, that's not a surprising admission to make -- $4.8 million in tithing is not easy to top, even for the son of a chemical magnate.